Hello friends! 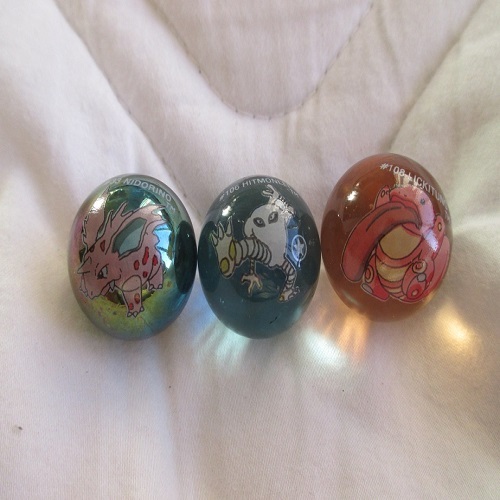 I hope you all had amazing Easters if you celebrate that, and have been enjoying your Secret Spring Swaps! But boooooy is it just the most amazing SSS! 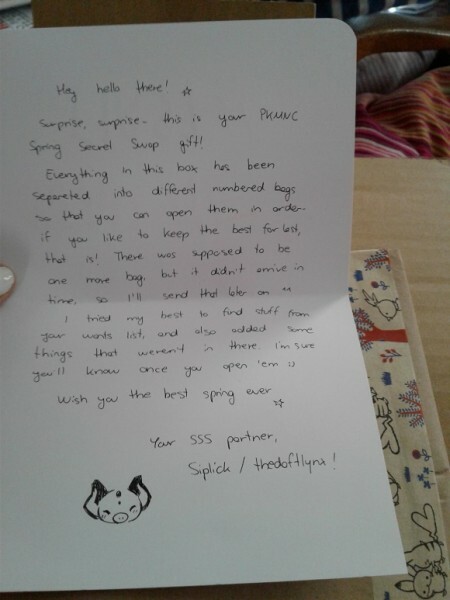 This is my 4th SSS but my FIRST SSS in Europe, with an international gifter! I've always admired their work, and their gorgeous art and now I'm the VERY proud owner of both!! 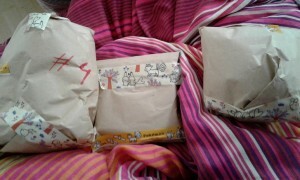 So what lies within these numbered gifts with adorable little tales tape?? 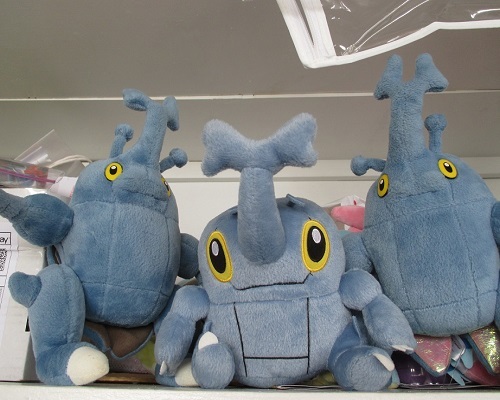 Who are these cute little sneak peek heads?! 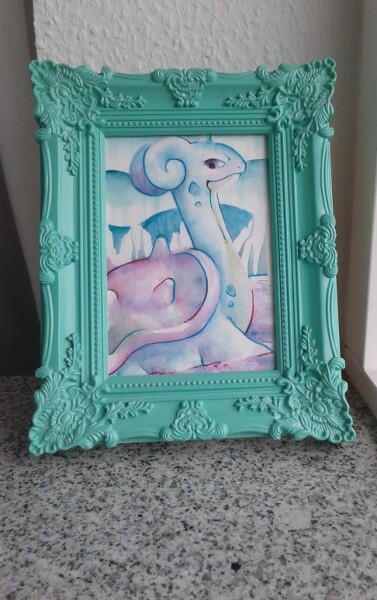 It's so special to me, and now resides in this frame which I had, and feel goes really well with Lapras' colors?? These were what I was supposed to open first! OMGGGG they are SO good. 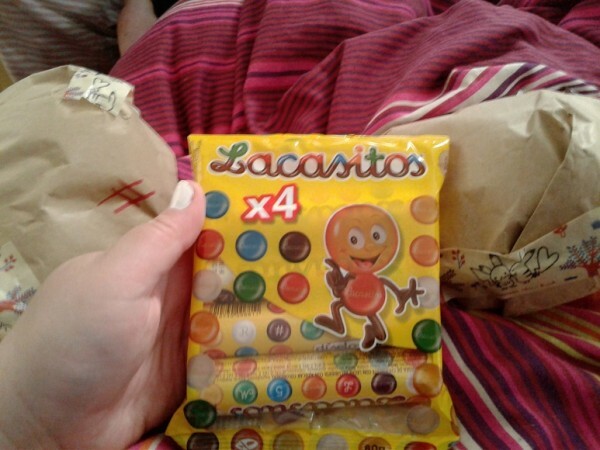 I shared them with my family and they agree, they are BETTER than both Smarties and M&Ms! SO much more creamy and just delicious! 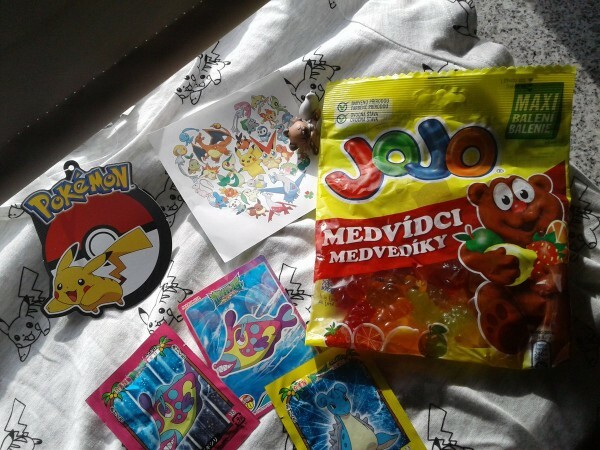 I love candy from other countries too so this was super special! This guy has been sooooo elusive! 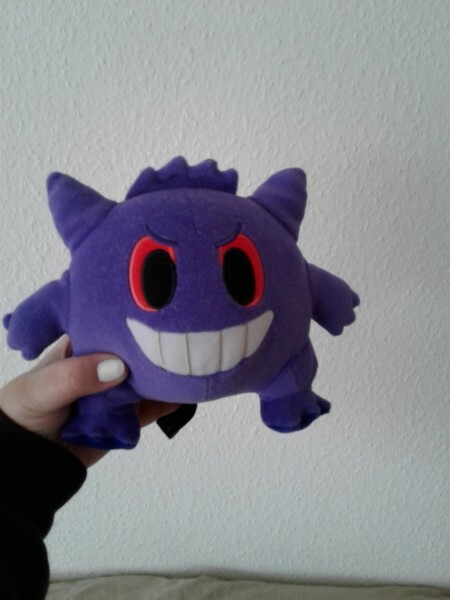 The 2007 Japanese Gengar Pokedoll!! 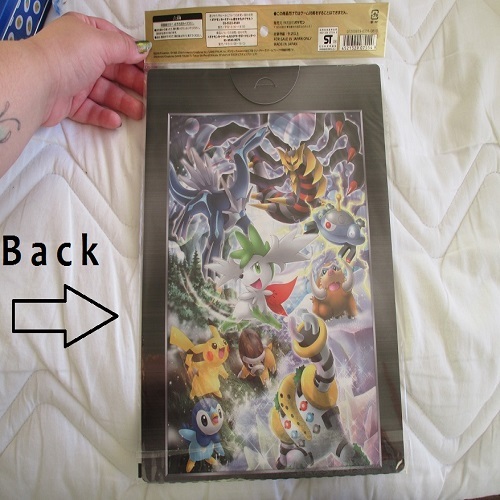 I've never ever been able to find it for a decent price, so even though it was on my wants list I kind of just chalked it up to "meh, I'll never get it". 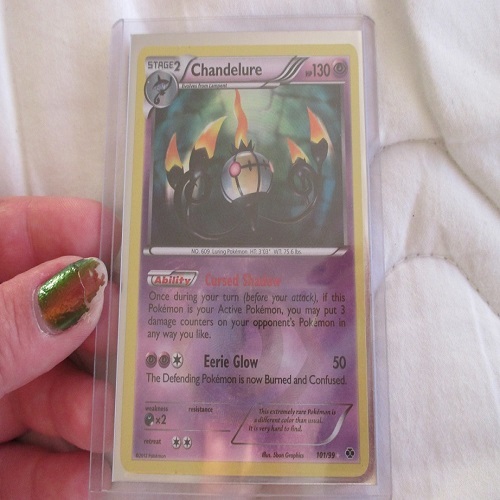 Opening pack #4 was like a DREAM come true! Look how gorgeous?! Look how PERFECT!! He's just my favorite little guy! I love the bat-ears and the colors. There's something so nostalgic and sweet about every little bit of him! 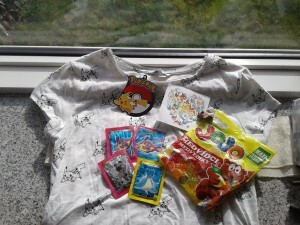 Seriously, thank you so much thedaftlynx! AND. THE. GIFTS. DIDN'T. EVEN. STOP. HERE. A few days later, the other part of the gift showed up! 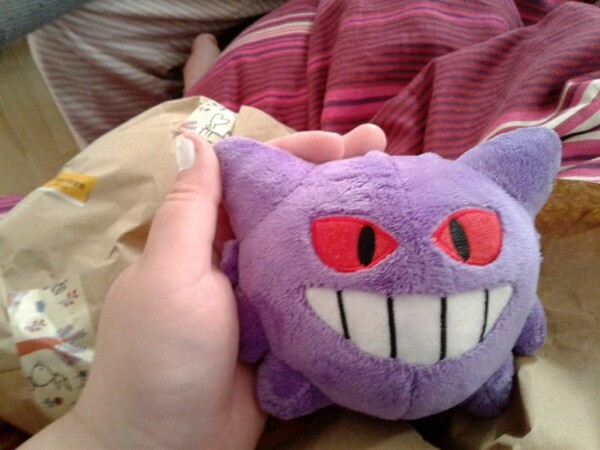 I was already at about a 110% on the happiness scale when I received the first package, and now one of my biggest Gengar grails of all time?! 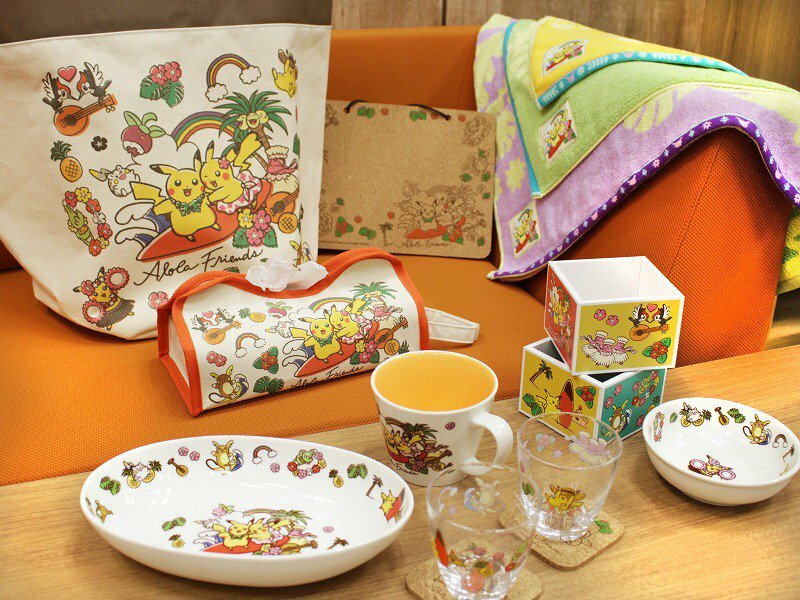 The Pokemon Time series is one of my faorites. I adore the cartoony styles, the cute, unique faces and it just makes me so happy. 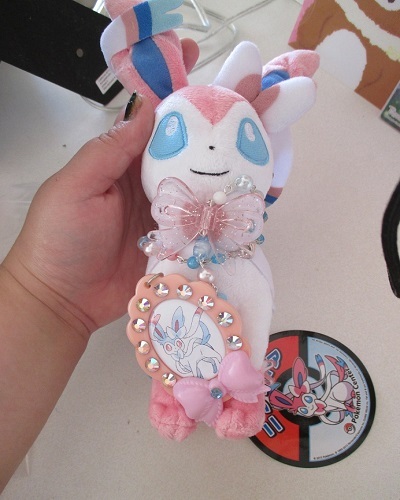 I FINALLY got the phone strap by the graces of Arceus last summer and didn't even hope for this little guy! He's always like $50-80 any sometimes over $100 online so I just gave up on him. It makes him all the more special to me! He's just as perfect as I had always hoped and I'm just blown away! 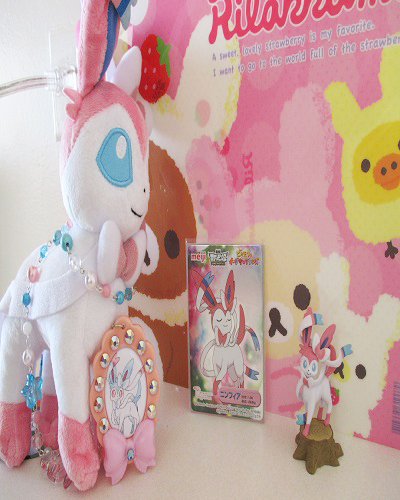 Here are all the gifts together, package one and two! Lastly but not at all least! So sweet. I am just floored! Thank you so much dear girl, you're an absolutely angel, ILY!! 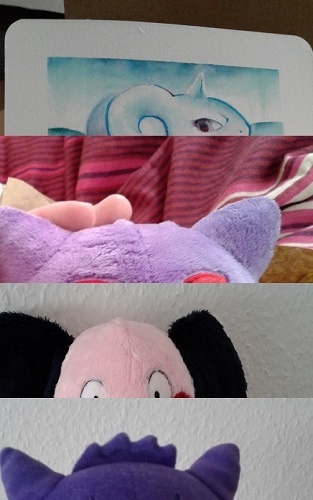 Plush, drawings, house items (mugs, towels etc) high quality sculptures, acrylic charms or enamel pins! I'm not a huge fan of perler or badges. 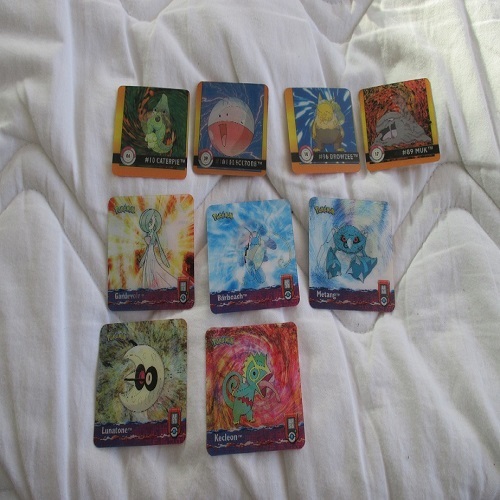 Anything from this promo! 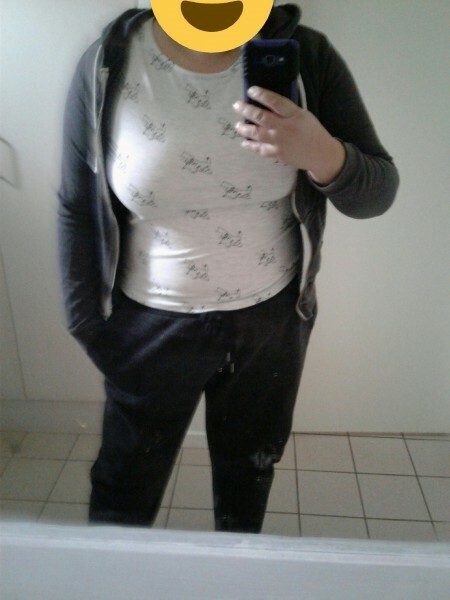 Top priority: T-shirt & Socks! 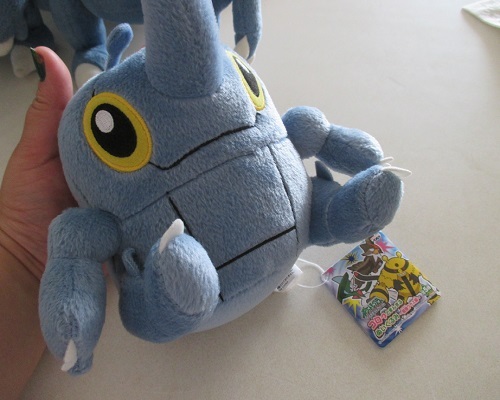 I know this isn't Pokemon but I just came across it on mintmittens' site and I'm IN LOOOOVE. 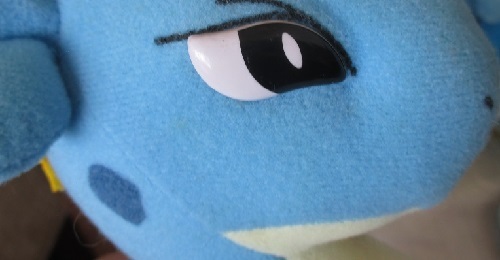 Here's a little sneak peak, WHO'S THAT POKEMON? Can you guess it yet? 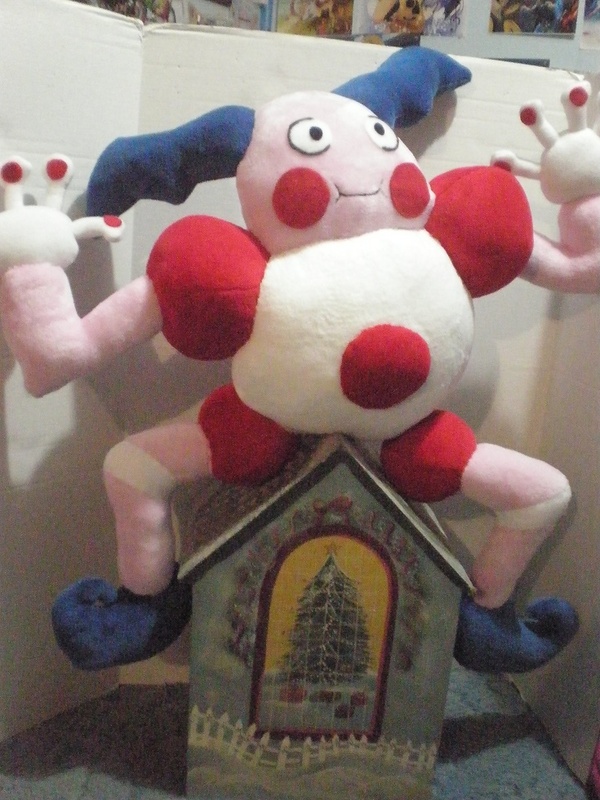 My VERY first custom Mr.Mime plush! I've had some amigurumi and a little mini felt guy made but THIS is my first minky plush! 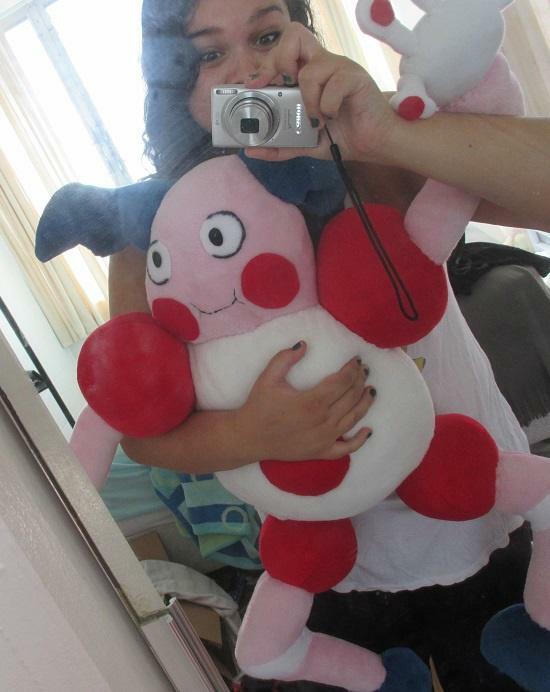 This is why I said grail because I've wanted a cuddly minky Mr.Mime since forever! 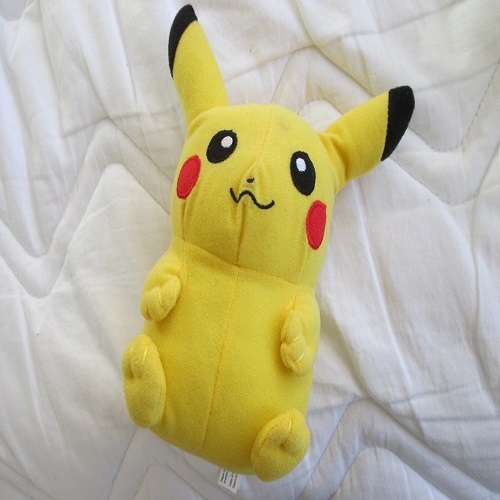 (He's almost ENTIRELY made of minky) cuddly and not to mention HE'S 30 INCHES TALL! It's been a task trying to find a place to put him. xD I mea he's almost 1:1! Anyways I better actually show this "little" guy off! 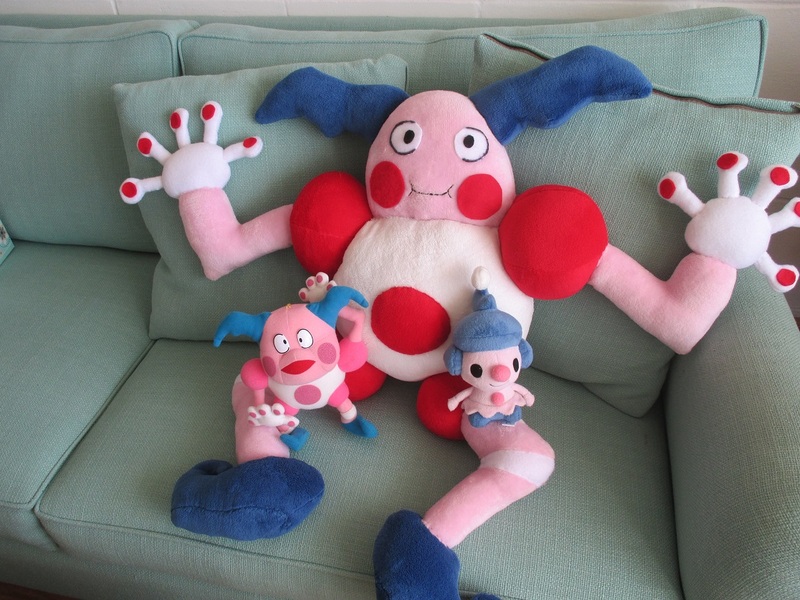 Here he is with his only official plush counterpart & Mime jr Pokedoll! 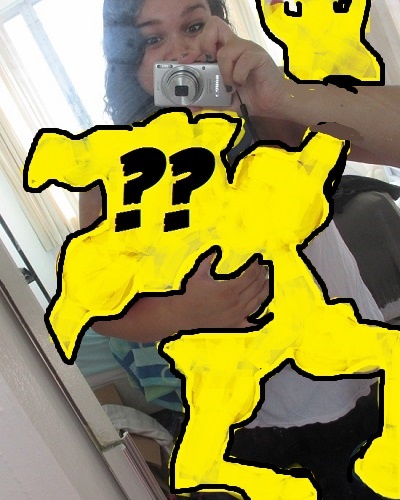 Here's the picture Cosmic Critter Crafts provided. As you can see, size reference was a bit confusing. I mean he could be Godzilla or on top of a very tiny house. Haha. But honestly I'm STOKED he's so huge!! If you guys are looking for insanely low prices AND amazing quality - not to mention shortest turnaround ever, then you have to check out Cosmic Critter Crafts! IT'S MY BIRTHDAAAAY. 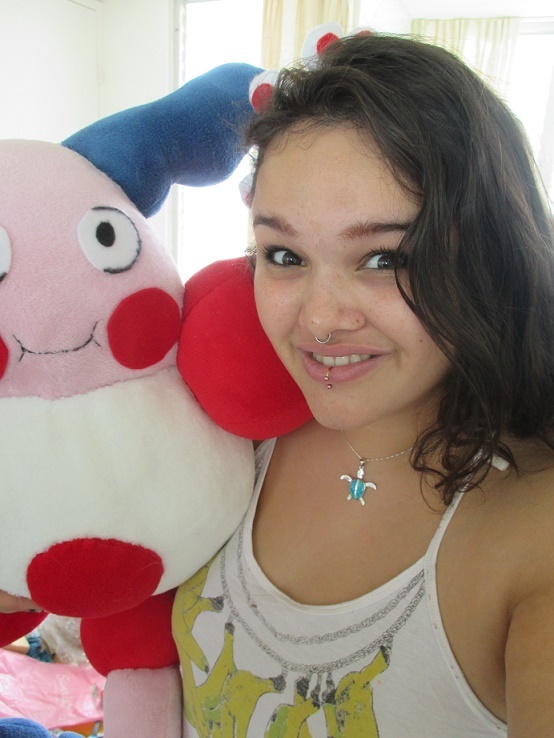 :D -Gets, birthday happiness and more! 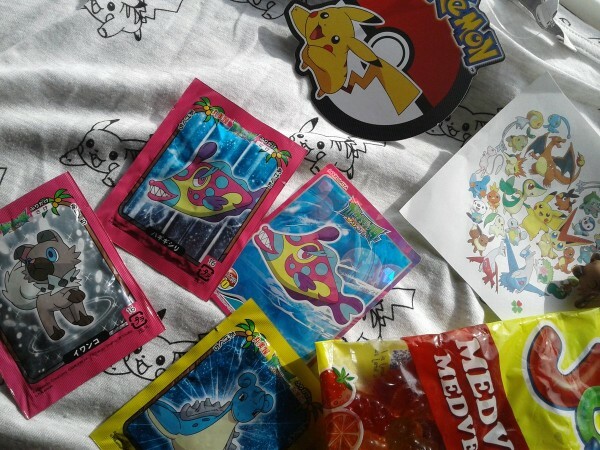 not ONLY did I get a giant package from pikachux with 12 blister packs, and AMAZING extra b-day goodies, including a mime jr and friends notebook from the Pokemon Center, AND a Blastoise ex, but I also got a lovely b-day card from classypersian . 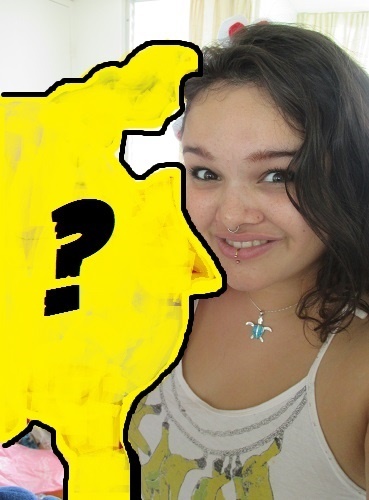 :D I really am so grateful, you guys are aweosme. ^_^ My day is already sooo special. I am already having a great day, so thanks a TON. 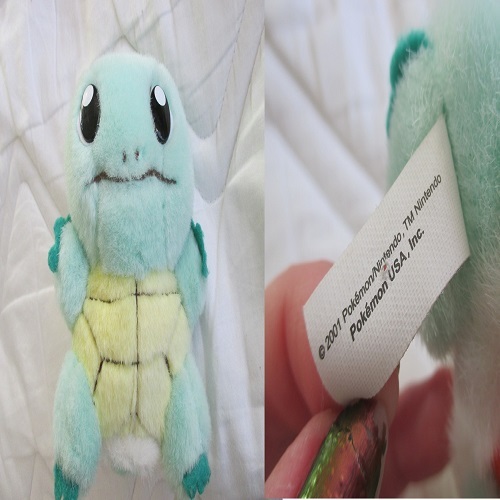 Anyhoo, I gave my SSS a custom Bulbasaur necklace from my Etsy store, and there seemed to be a bit of interest. Therefore I figured why not share my jewelry with the comm? 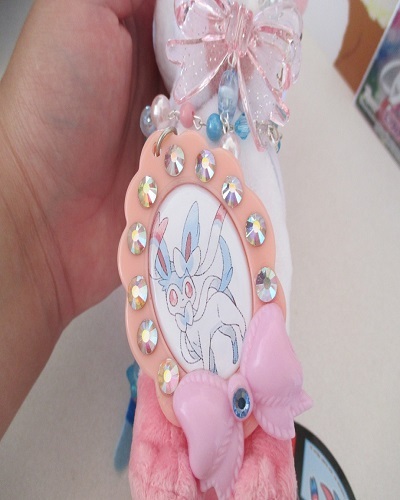 ^_^ There are always so many AMAZING customs here, it's unreal! 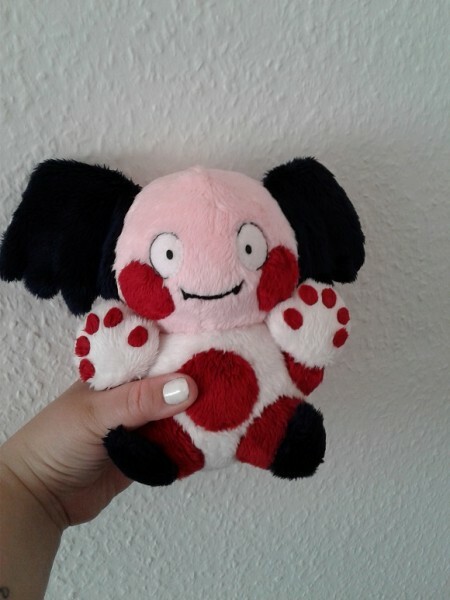 I would be glad to do a trade as well if you make custom plush, or other art. 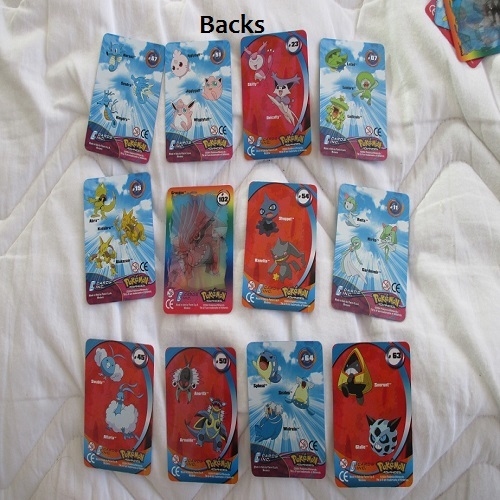 Partial trades are also welcome! This way I can lower prices (also due to the fact that I won't need to add Etsy fees), and give the comm an opportunity to get some customs that can be worn. 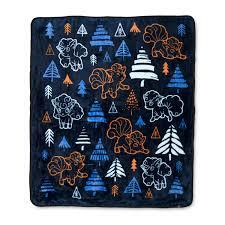 <3 Also, I do custom orders. 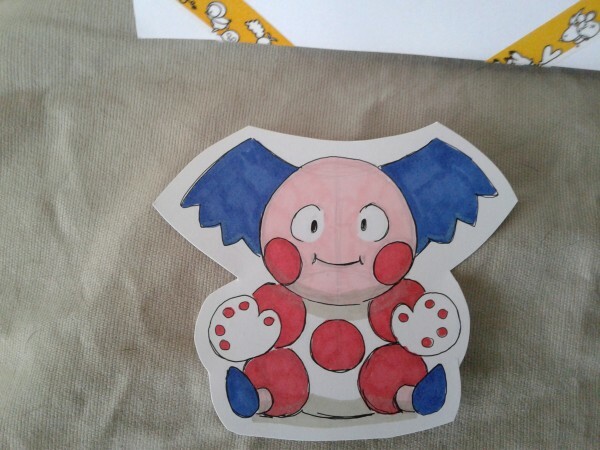 I've done literally more of less the entire Pokedex, so if you don't see a Pokemon you love, it can be made! 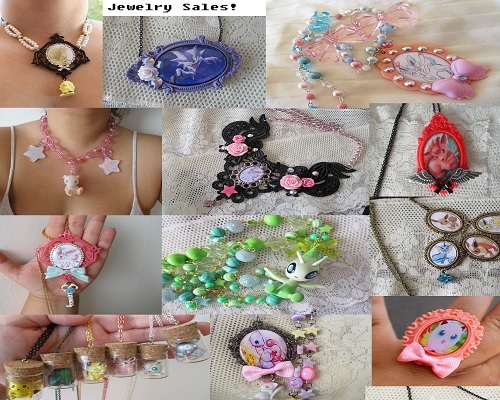 :D I made jewelry from upcycled kids and other figures, trading cards, Pokedex pictures, anime episode clips and more! 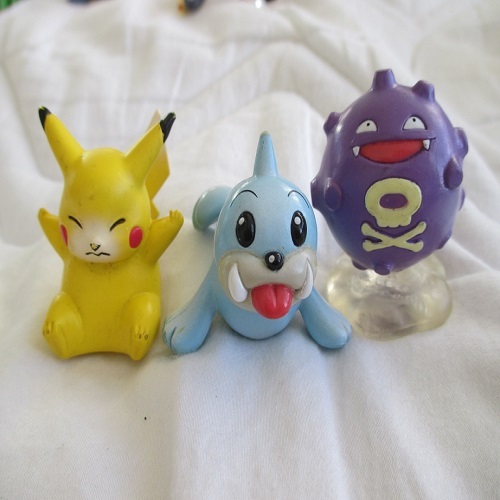 Link to my Etsy store: https://www.etsy.com/shop/GlitzCouture?ref=listing-shop-header-item-count You'll find I also have a lot of non-pokemon items. 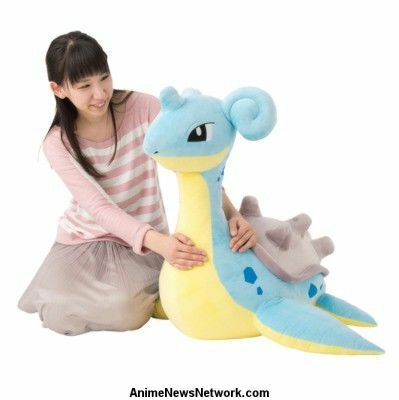 Please feel free to combine with any of my sales items here! More info under the cut! 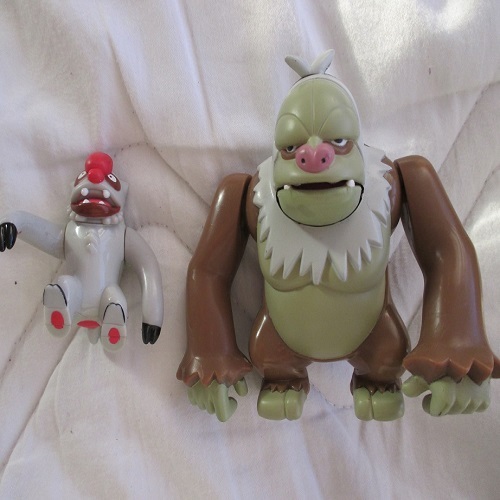 Mimey Get + Cool Old Find! See many lovin' pics in the cut! Hey comm! 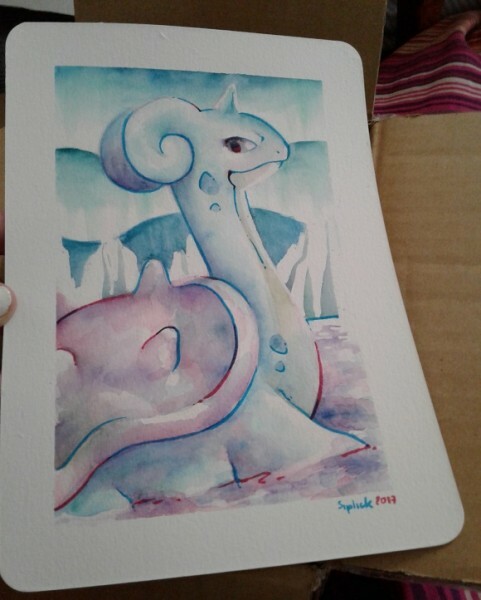 This was just the best thing ever to come home to, a grail I've wanted to oooh so long, and then finally got with help from the wonderful colocho_robotto ! 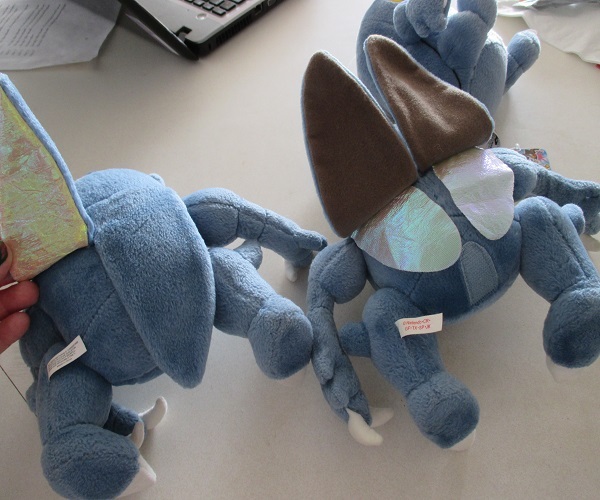 But the clear differences are the wings! Japanese: Brown "under-wing" with thin iridescent pieces of fabric for the "Second layer of wings". 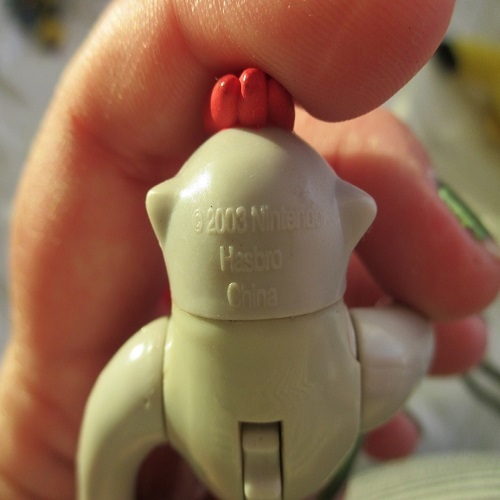 He also has a strip of Velcro on his tush. 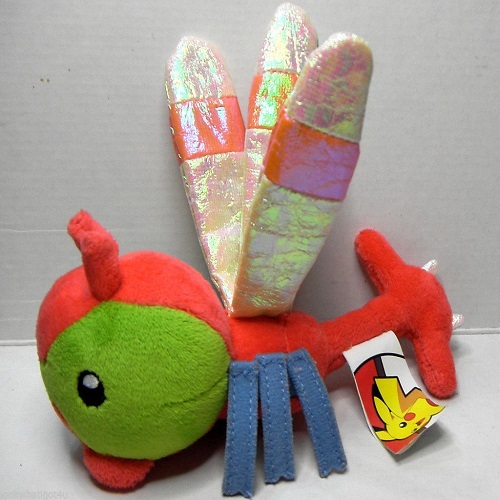 American: Iridescent fabric sewed onto wings, no "second layer of wings" on this guy, nor Velcro. 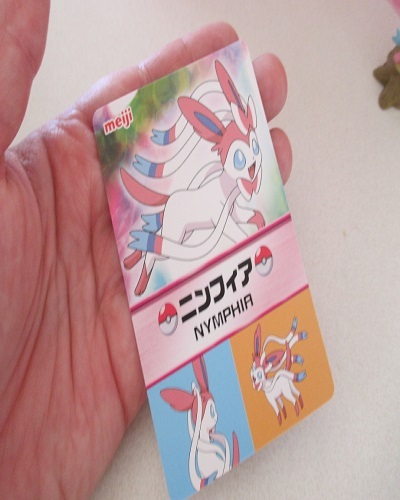 Also the tush tags are different, obviously. 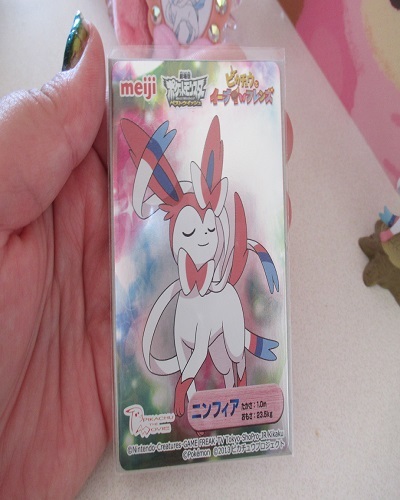 I also have the Sylveon figure from the Sylveon box in the background, which is just a little common guy, but done SO well! 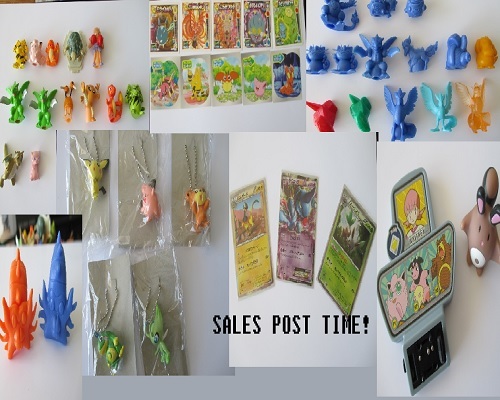 PLEASE NOTE THAT THIS SALES POST IS NO LONGER ACTIVE! 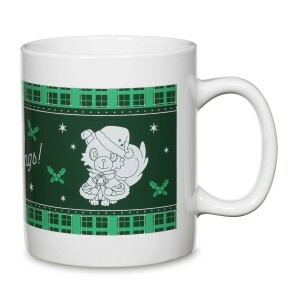 PLEASE REFER TO THE OTHER SALES POST ON MY PROFILE! 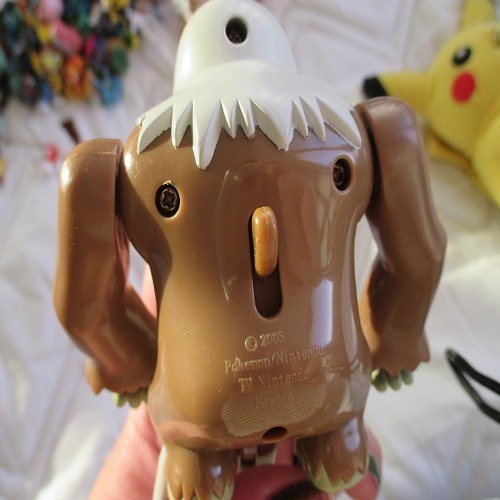 Figures - I have quite a few kids in various conditions, Bandai and Banpresto mini figs and a few Tomy and Nintendo figures! 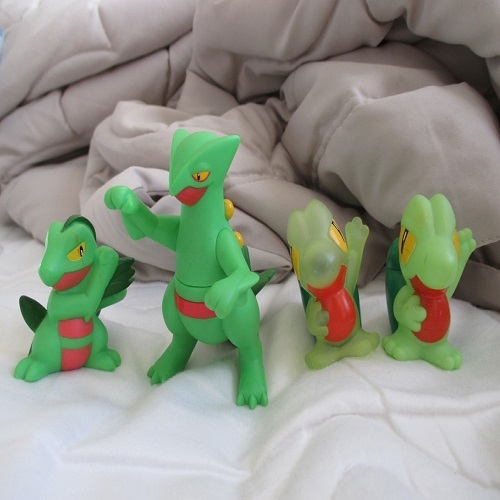 Treecko evo line kids (including 1x normal Treecko & 1x clear Treecko) and DX Sceptile! NOTE: Grovile has a few little marks. 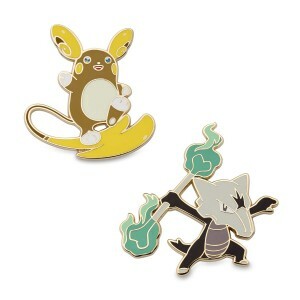 NOTE: They both have teeny holes in their heads from having made them into charms, and regretting it, lol. 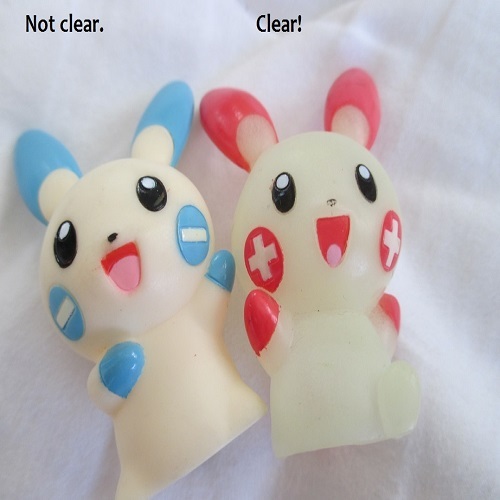 Also Plusle's nose has rubbed off a bit. $3 ea. OR take all for $11. 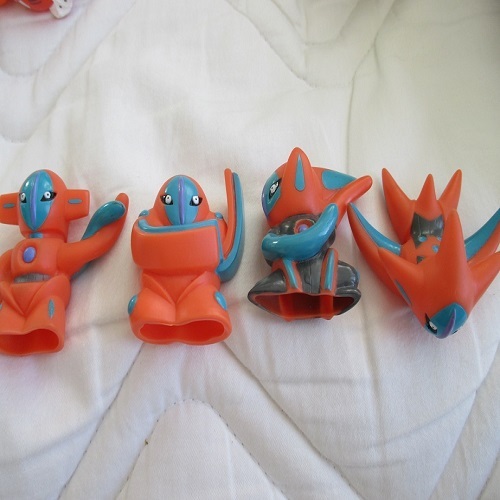 NOTE: Celebi is pretty dirty, but can likely be cleaned with some sudsy water. 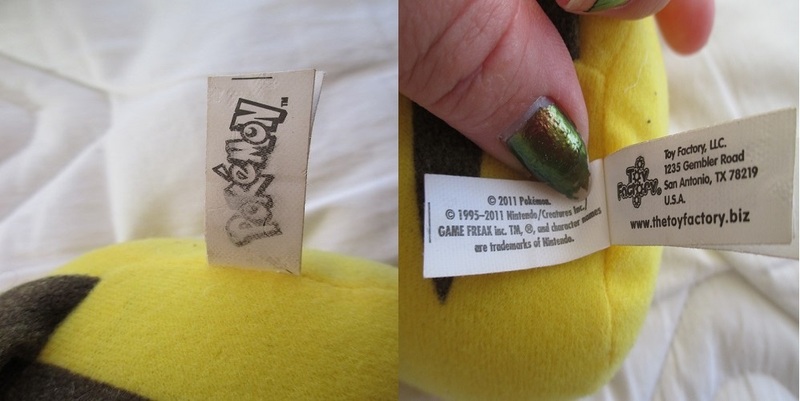 Jirachi has marker marks. 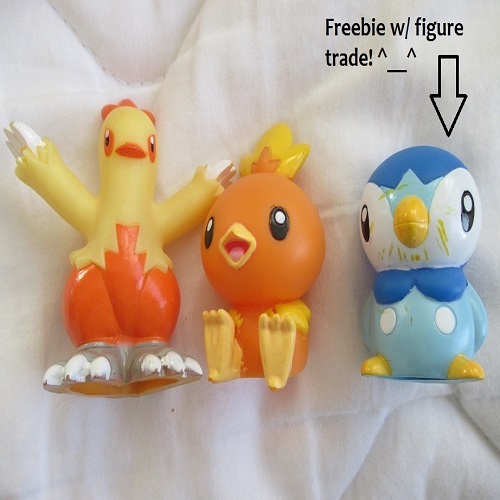 NOTE: As the picture says Piplup can be a freebie with a figure (or plush) trade OR PURCHASE! 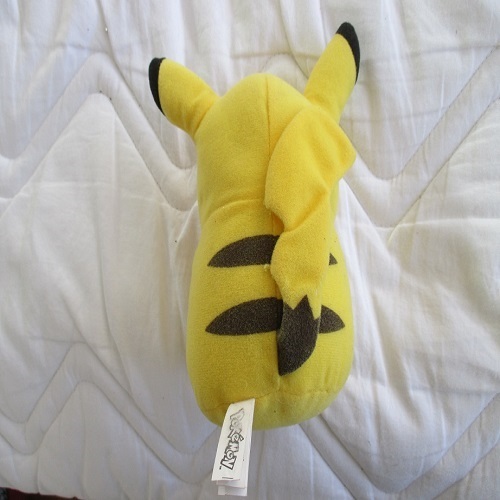 NOTE: Pikachu's nose has rubbed off mostly. 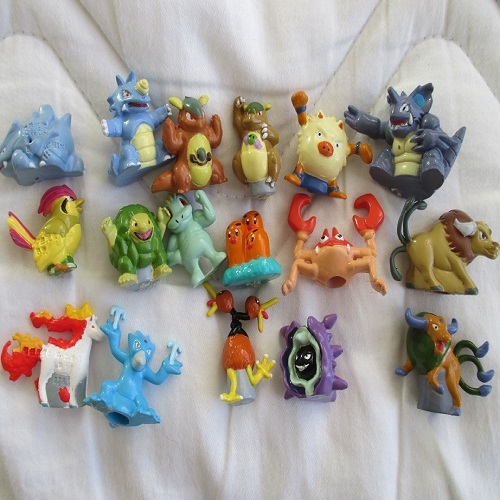 Assorted Bandai(B) and Banpresto(BP) mini figures! Both are in near perfect condition! From what I understand this pair is extremely HTF. 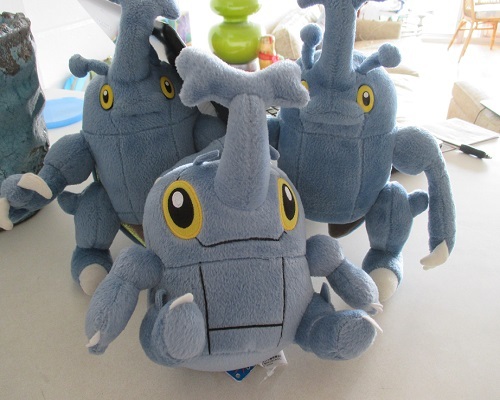 I'd like to be able to trade these for either version of Hasbro Heracross. Otherwise a really nice offer from my wants list. 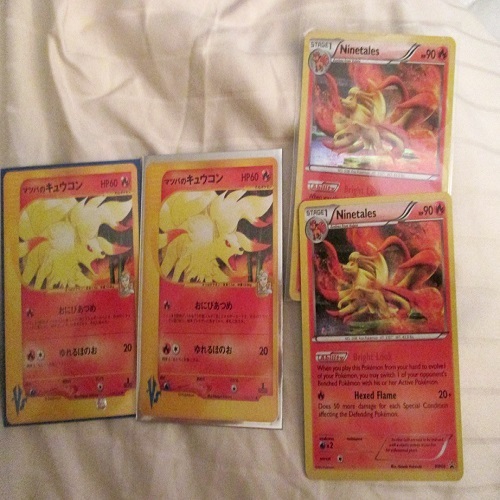 Not sure what to price them at, buuuuut..
Also pictured is the lovely, rare VS Morty's Ninetales! 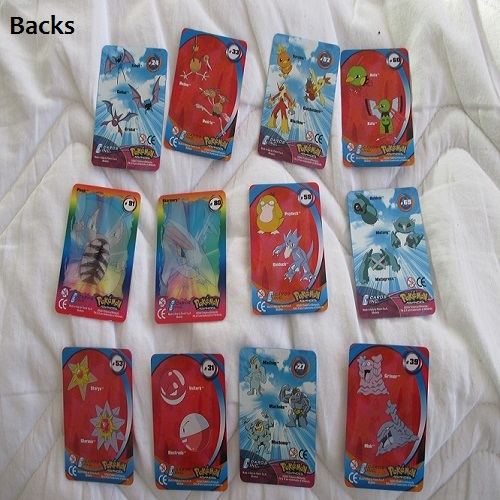 I am ONLY trading/selling one of each, I just wanted to show that I had duplicates. 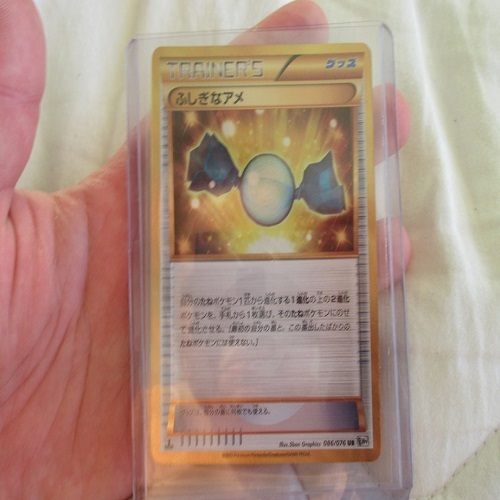 The shiny rare candy is an extremely valuable card, and I pulled it myself, so only equally amazing offers on that one! 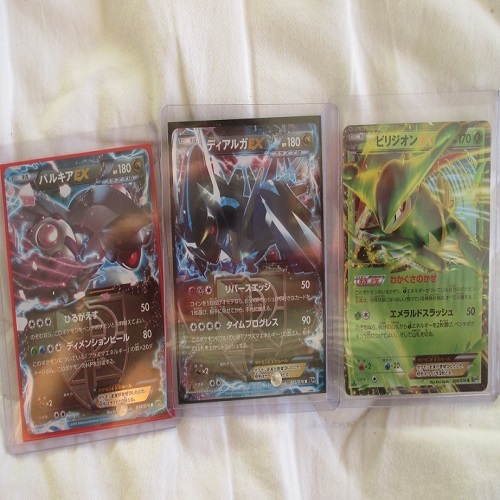 Palkia ex, Dialga ex, Virizion ex. 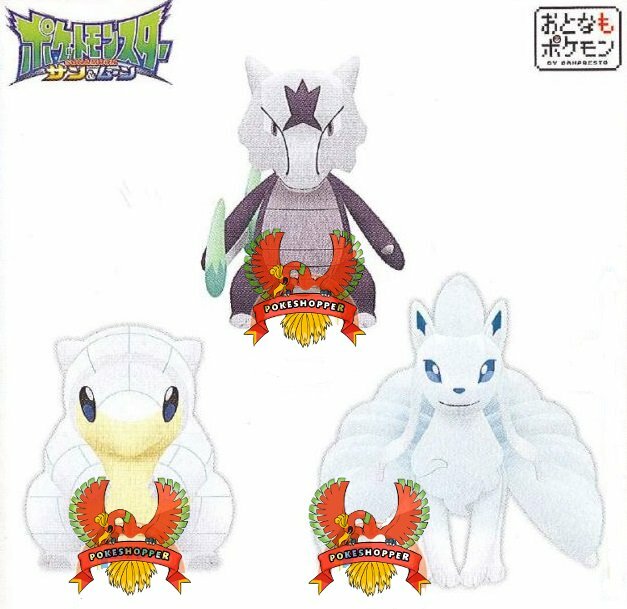 Keldeo ex, Excadrill ex, Reshiram ex, Zekrom ex and Dakrai ex. 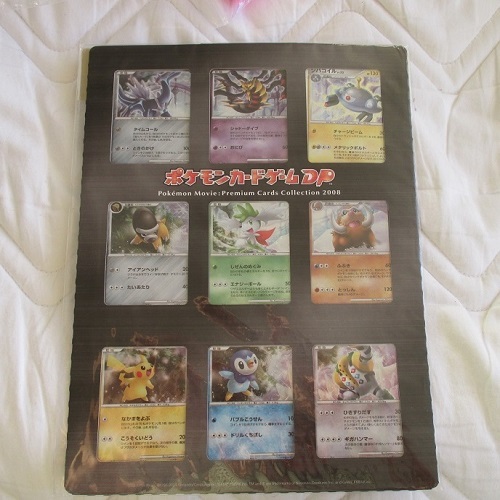 I've got a lot of promos, and mini sets (like vending series, shiny collection and more), including this SEALED 11th movie set (all holos). 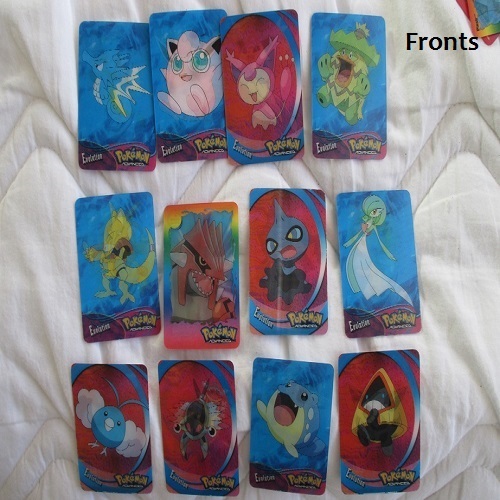 Here is the SEALED 11th Movie Set (all holos). 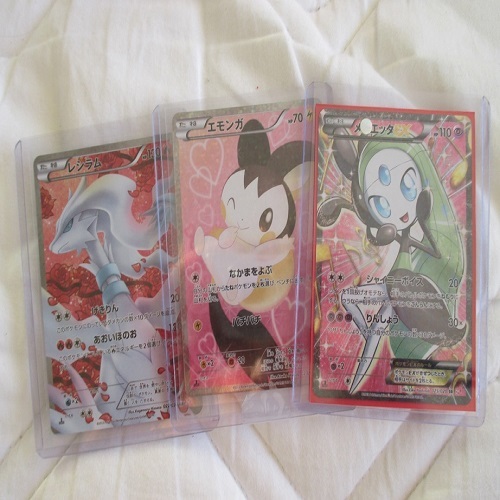 If not we can discuss something else, but I'd like to trade for a set or some cards of my high wants! 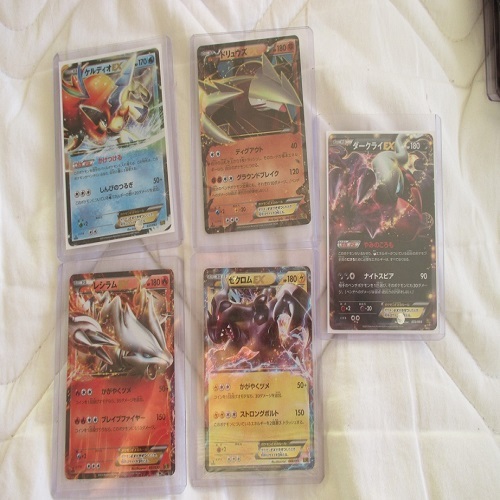 2008, 11th movie card collection! 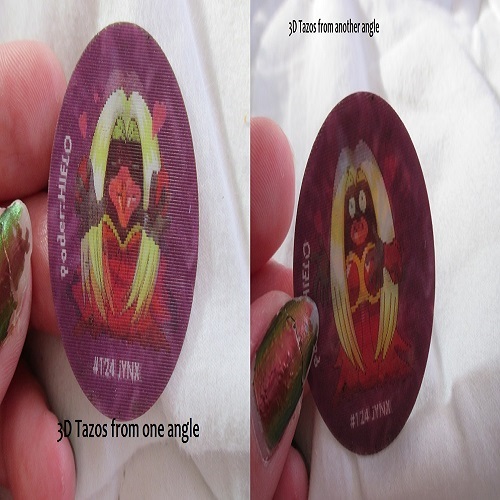 I have details of these as well, so just ask if you want more detailed pics! All 3D except the top row of freebies. Artbox 3D action Flipz. 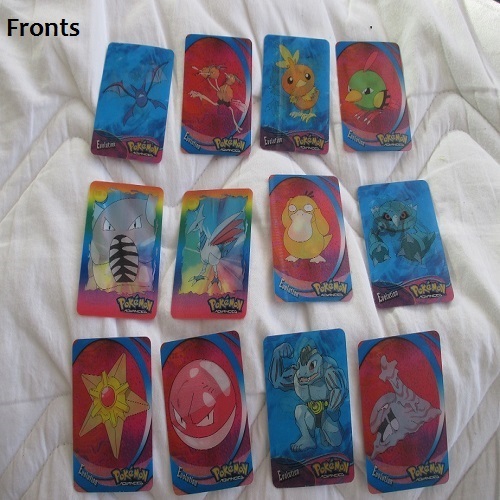 I actually have a few full sets 1 of the top smaller 1st gen ones, so if you want to trade for a full set, let me know! 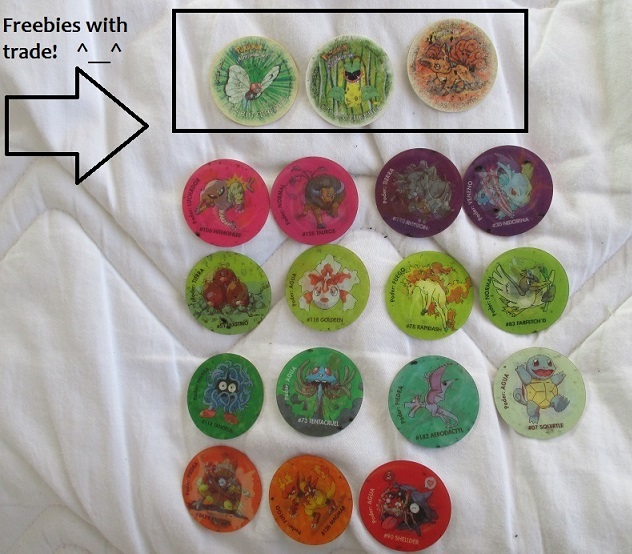 The last two rows are some random gen 3 Advance flipz.